Fine copper wire strands to BS6360/IEC 60228 Class 6. Black polyolefin insulation with white numbers. 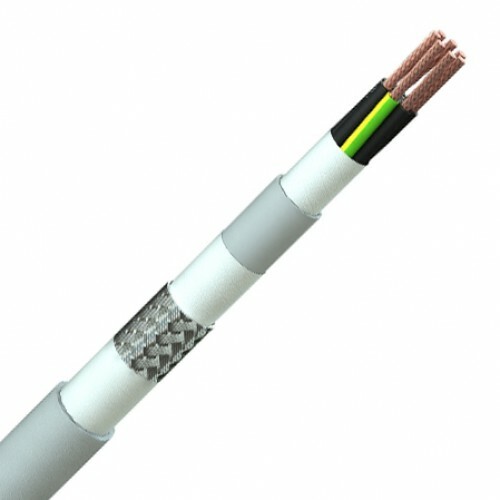 A green/yellow earth core is included in cables with more than 2 cores. Cores twisted in layers & textile taped. Grey PVC bedding. Fleece tape. Tinned copper wire braid. Fleece wrap. Textured grey polyurethane outer sheath to RAL 7001.